How good diets work is really having benefits on your health while helping you lose weight and get slim the right way. 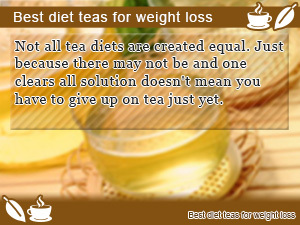 Tea diets are no different. Know yours. Good tea is as hard to come by as a good diet. 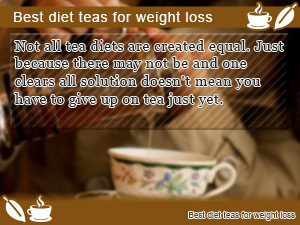 Knowing what works beforehand is great but until you've actually tried a tea diet, you will never know for sure. In fact, diet tea is overrated. That is to say the tea you drink doesn't have to have diet spelled out in words. Go back to the source of why certain healthy teas work. What are good teas for weight loss? 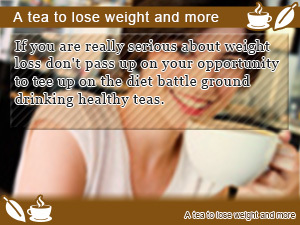 What comes to mind when thinking about great teas to lose weight is great Tea Weight Loss. In fact, there is tea for just about any benefits you can think about in your diet not just limited to dieter's tea to keep in mind when thinking about taking on tea diet. Although the image you have for Drinking Tea may be locked down by diet and weight loss, what you will find out is that there are health and Cosmetic Benefits that you can look for in your diet that are a must. Here's your chance to mix it up. In this daily roundup of Slism, we are going to go over the tea diet you can consider before going out and buying a box of regular tea with diet written on the box so you can make a more informed decision trying to take on the problem of finding tea that can help you lose weight. Although it may not is your first time hearing about your diet's ally Black soybeans known as Kuromame in Japanese. Not only are black soy beans in your diet traditionally eaten around the New Year's Holiday in Japan eating ever day are seriously good for you, black soybean tea helps you take it one step further. Anthocyanin contained in Japanese-Kuromame black soy beans work to block fat from being absorbed in your small intestines helping flush flat throw your body making it easy to keep off the fat. 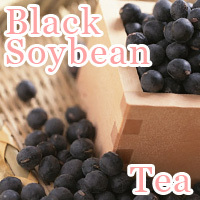 When trying to lose as much weight as possible, you may tempted to drink black soybean tea all throughout the day. However all you have to do is drink after eating fat food for best results. Don't stop at just eating Kuromame soybeans! There is still a lot you can walk away with from eating soy. Unlock the health benefits of soy getting balanced nutrition you need to put your diet on rails to success. Tochu tea is one tea that put drinking tea on the dieting map. Take your diet back old-school with many health benefits such as helping prevent common lifestyle diseases in addition to lower your blood pressure. 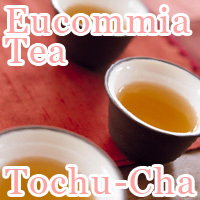 Even if you are just looking for an easy to drink tea eucommia tea makes a soothing afternoon hot drink. Eucommia tea is said to help cut back cholesterol and triglyceride levels in your blood stream. 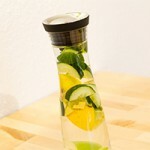 Studies have shown that this can help prevent the rise in body weight and fat that causes obesity. In addition to working as a great method in weight maintenance, this tea helps flush out bodily waste products and harmful toxins having a detoxification effect on your body. The synergy between being about to lower your cholesterol and get a natural detox just by incorporating more tea in your diet give you the tools to succeed. 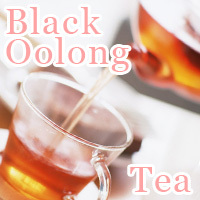 Although you may not be ready to throw down top dollars to stock up on the latest and greatest black oolong tea being sold in the health foods section that doesn't mean you can't walk away with the benefits of drinking oolong tea black giving you more leverage to lose fat in your diet. Double the Fat Leaving Your Digestive Tract! Evacuate up to twice the amount of fat you put in your body by taking up drinking black oolong tea. With the power of Oolong Tea Polymerized Polyphenols (OTPP) you can start reject fat absorption the way it should be. Where black oolong differs from plain Oolong Tea is polyphenols that make up the black pigments giving black oolong its distinctive color. In particular, Polyphenols found in black oolong tea are great for fighting fat. Whether you are drinking oolong tea black or with sugar aside, drinking tea helps boost your metabolism after drinking by slightly raising your core body temperature helping your burn more calories during the day. Gymnema-cha may not be your cup of tea in terms of taste but when you hear what it can do in your diet, there will surely be something to agree on. This Indian herb tea is said to help make it difficult to taste the difference between sweet and bitter giving you what you need to cut back on sugary sweets. Gymnema Acid contained in certain Indian herb teas blocks the absorption of glucose from being absorbed in your small intestine during digestion causing unwanted spikes in your blood sugar levels. 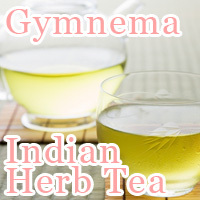 Drinking Gymnema leaf tea helps keep your blood sugar down. Even if you are not sensitive to spikes in blood sugar like many diabetics, simply reducing the number of blood sugar spikes throughout the day comes with benefits. By having fewer spikes in blood sugar in your diet, you can inhibit storage of fat. This is especially advantageous when you are trying to lose fat on a diet. If you've ever bitten into a Goya, you wouldn't be thinking that Goya tea would be accompanied with welcoming sweetness. In contrast, Goya tea despite the image people have of it is remarkably easy to drink. 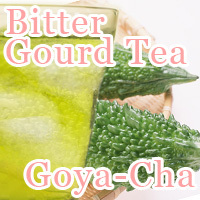 Goya tea is easy to prepare given you have bitter melon available. Even if you don't, there's always powder. Using Goya in your cooking just as in the Okinawan Diet, you can store taking the fight on fat into the foods you eat. Fat burning foods such as Goya make a great addition to any diet targeting loss in body fat. In addition to helping block fat, Goya helps burn fat faster with Linoleic Acid. All the benefits of Goya are entwined into Goya Tea making a great addition to the teas you must have while on a diet. Now you know what that strange looking fruit at the grocery store is all about. Give it a try and if not available at your local grocery store, drinking Goya tea powder works just as well. 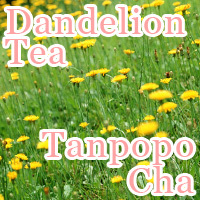 Tea mad from the root of dandelions also called dandelion coffee provides both soothing fragrance and health benefits that you can take home in your diet. Roasted into perfection driving out the essence of dandelion flower root, this tea makes a great substitute for non-caffeinated coffee. The roots of dandelions contain a substance called Inulin that works to change the environment of your intestines for the better in addition to helping your finally rid your body of constipation related issues. Inulin help improve the absorption of easy to forget to get enough of nutrients great for maintaining a balanced diet and prevents sharp health hazardous spikes in blood sugar levels. Just when you thought there would never be a day when you would see yourself drinking flowers, today is the day to start thinking different. Leave no dandelion left behind. Changes are that you haven't heard of a Gambooge unless already deep into the tea diet scene. Gambooge tea is a highly effective diet tea that makes up for its lack of caffeine in weight loss benefits. In addition, it is safe to eat and drink within the specified amount. In Gambooge it is said that there are substances to block fat from being stored away in your body in addition to containing enzymes that kick start your fat burning metabolism giving you more leverage in weight loss. When you are looking for ways to put a stop to triglyceride and cholesterol increases in your blood stream affect the health of your hearty hear and reducing the risk of developing common lifestyle diseases this is the tea. 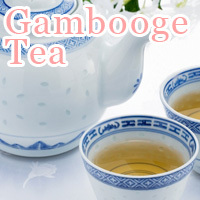 Gambooge tea is the pinnacle of diet teas for weight loss. With that said you should still consult with a physician before drinking respecting your physical condition. Red bush tea is rich in Vitamins C and minerals you need to get on top of your diet in addition to helping your get more beautiful skin. In fact, it's an amazingly good food that everyone who has ever thought about dieting should know about said to be good against hay fever giving you a fighting chance against dermatitis. 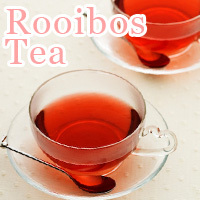 Drinking rooibos tea helps your body attack loose fat cells breaking them down helping your lose weight dieting smarter. Rich in antioxidants red tea helps restore your skin slowing down the affect UV radiation has on your skin. So if you are worried about the affect dieting has on your skin and are looking to slim down wrinkle free you had better be drinking rooibos. Among being considered the Drinkable Salad, healthy mate is packed full with nutrition that makes a great start to getting all the vitamins and minerals you need to eat and drink right. Made from Yerba mate, a plant native to the lands of South America, mate give you just what you need to take back your diet in nutrition. Mate is an outstanding source of nutrition, surely something that leaves the shores off South America in boast. 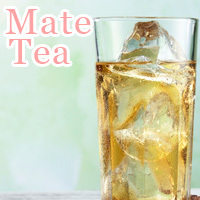 With vitamin C and Vitamin B1 and Vitamin B2 said to be the fat burning vitamins, Iron, Calcium, Zinc, Magnesium, carotene, and Dietary Fiber for enhanced nutrient absorption there is nothing to lose drinking mate tea. At times when nutrition and balance in your diet are short of falling apart mate tea makes a quick pick me up to get you back on the road again. There are many aspects to dieting drinking tea that can never be covered enough just by reading about which teas work for what trying to find your place in making weight loss work for you. Sometimes the best approach that makes most practical sense is to try things out. You will never know what works until you try. This is your chance to come back to earth with your diet. Find time to have a cup of tea in your relax time. Don't push the limits telling yourself that you absolutely have to drink because it's good for you. After all it's your diet so be in charge. The water diet may not be the fastest way to lose weight but with so many options to reach your diet and exercise goals it may be just what you need to get slim. Not all tea diets are created equal. Just because there may not be and one clears all solution doesn't mean you have to give up on tea just yet. If you are really serious about weight loss don't pass up on your opportunity to tee up on the diet battle ground drinking healthy teas. As you've guess there are great ideas waiting to receive your approval making surface in your body for simply and weight loss that works.